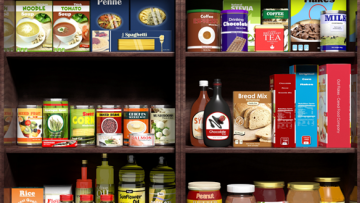 Potassium has moved from voluntary to mandatory on the FDA’s new 2016 Nutrition Facts Label. With the move comes new rounding rules. 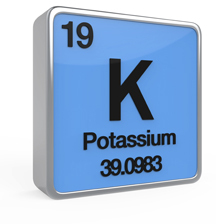 The adult DRV for potassium is 3500 mg, and the percent DV is reported to the nearest whole number. in the lower part of the label with the rest of the vitamins and minerals. 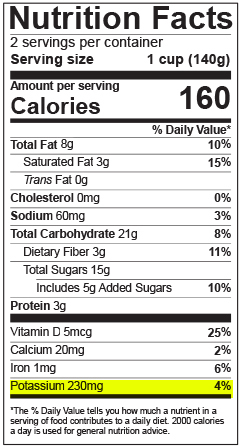 The new labeling regulations require that a quantity be listed for potassium, rounded to the nearest whole number. 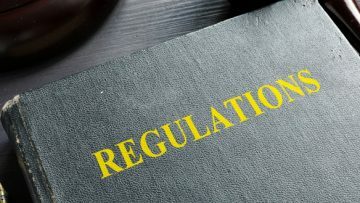 Additional rules apply based on label format, like the Simplified format and labels for small packages.